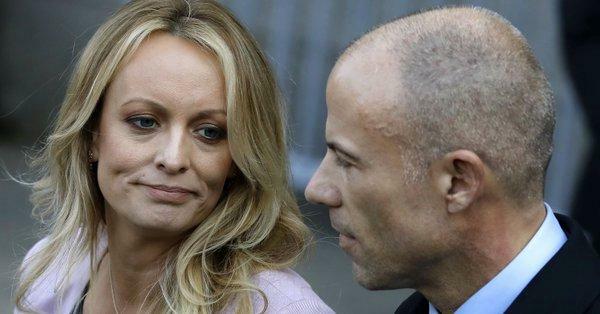 Stormy Daniels' lawyer Michael Avenatti appears to be going off the rails following recent reports shedding light on his past. Avenatti sent a threatening email to The Daily Caller's Peter Hasson after he and Joe Simonson reported on a variety of questionable business dealings - using publicly available information, such as a complaint to the California bar claiming his now-defunct venture into the coffee industry dodged millions in taxes after he mislead a business partner (who sued). Avenatti also reportedly stiffed a vendor on a $160,000 payment - which has since been paid following negative press. Avenetti starts off his threatening email to The Daily Caller by trying to claim that the email was "off the record," which - as short-lived White House Communications Director Anthony Scaramucci discovered doesn't fly when you're talking to a journalist who hasn't agreed to it. “If you think I’m kidding, you really don’t know anything about me. This is the last warning," Avenatti warned. Avenatti's threats received an immediate pushback - with CNN's Ryan Lizza commenting "This is the sort of intimidation tactic, suggesting a complete contempt for what reporters do, that someone like Michael Cohen would use," adding "It seems fair and well-reported to me. If there is something specific that is false Avenatti should point that out rather than threatening the reporters." It seems fair and well-reported to me. If there is something specific that is false Avenatti should point that out rather than threatening the reporters. NBC Nightly News' Daniel Medina tweeted "I'm guessing there would be more outrage at this behavior from @MichaelAvenatti if @peterjhasson were not from a conservative publication. As reporters, we must stand together, regardless of where we work, against these type of bullying tactics that seek to stifle reporting." The Hill's Julia Manchester says "it's cray", while the Daily Beast's Gideon Resnick calls it "bonkers", while others even went so far as calling it "insane." What’s absolutely insane to me is the defense that it’s okay to look into the presidents background, but not okay to look into the background of a person seeking to take him down. Thank you for actually doing your jobs when few others would.